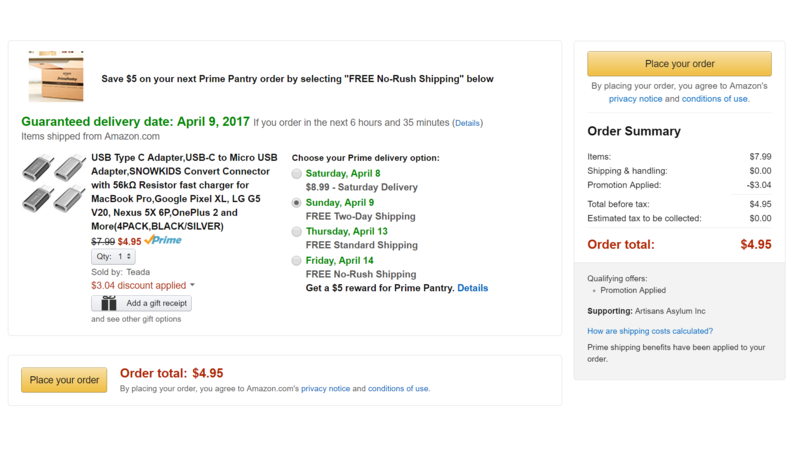 Amazon has a pretty good deal today on a 4-pack of microUSB adapters. 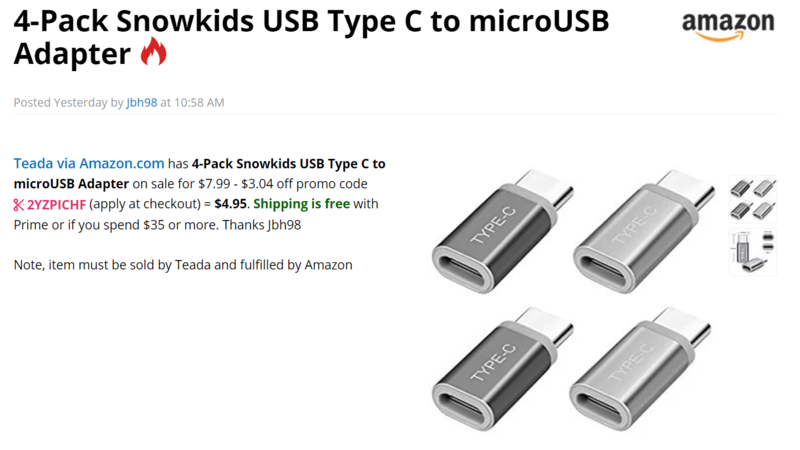 These particular units are originally $7.99, but through the magic of Slickdeals and the associated promo code (2YZPICHF) an extra $3.04 can be knocked off. And the difference between having $3 and needing $3 is $6, more than these cost on sale! See, you're making money. Those of you with a pile of microUSB cables about that might already own or be considering purchasing a device with a more modern connector might well consider this offer. It has 5 stars on Amazon, but no word on if these meet the Benson specification standards. If you use them with a sub-3A charger your risk should be minimized.